(Newser) – More than 20,000 supporters have signed a petition calling for McDonald's to bring back a special sauce for its Chicken McNuggets, and it's thanks to a cult-favorite cartoon. 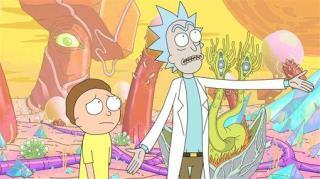 Rick and Morty, a popular animated series co-created by Dan Harmon for the Cartoon Network's Adult Swim roster, hasn't put up a new episode since October 2015, when it aired its second-season finale, the Atlantic notes. So fans were giddy with excitement Saturday when the network unexpectedly aired the first show of Season Three—and the episode's final moments had an additional surprise. Per Business Insider, Rick, who plays the mad-scientist title character, revealed his innermost motivations, and they involved a plum sauce the fast-food chain hasn't offered in nearly 20 years. Dear Rick & Morty, please target KFC next and bring back the old chicken nuggets and original sweet and sour sauce. I was surprised when they shed the honey mustard sauce. It made the egg mcmuffin swallowable when added. Ah, sweet red pepper sauce? Available even in my B County grocery store in the wine bottle sized container. Lots of red pepper seeds in a red sugar sauce. Mildly hot. Made usually in Vietnam or Thailand.